Bioroids and Bombots: Weapons: ASP 30mm cannon. 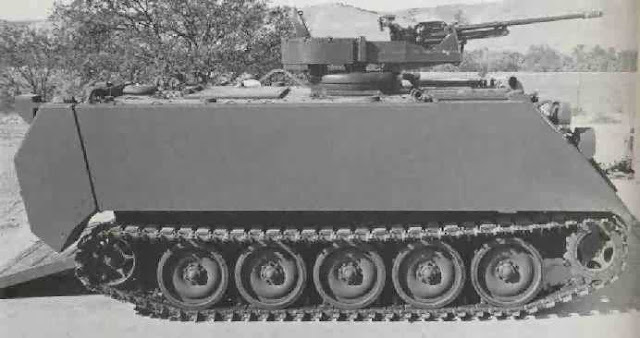 The ASP was a 30mm cannon designed to fit any mounting that will take a .50 BHMG including the M3 ground tripod. The weapon is actually lighter than most 20mm and 25mm cannon. The ASP uses the same ADEN/DEFA 30x113B ammo as the M230 Chain Gun fitted to the AH-64 Apache helicopter. These rounds were found to be capable of penetrating the rear turret armour of a T-72 tank. Despite its impressive capabilities and potential, orders for the ASP were not forthcoming. 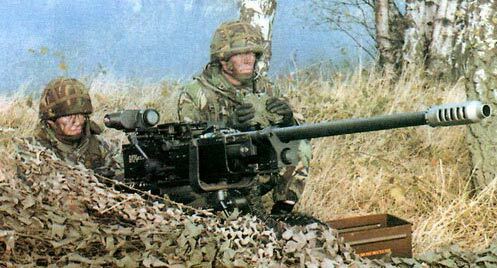 One is inclined to suspect that certain officers did not like the idea of HMMWVs and M113s outgunning Bradley IFVs! The ASP obviously had considerable potential as an armament for light vehicles or even cybershells. It was also an excellent weapon for countering such target too. TS-era production techniques such as minifactories and 3D printing allowed the ASP design to be recreated. The TS-era ASP cannon is a shade lighter than the original. The main difference is that the muzzle now incorporates a device to program the rounds as they are fired, allowing them to be airburst. This is used with a computerized targeting system that includes a laser range-finder (adjust Acc accordingly). Homing ammunition, using the same seeker heads as 30mm mini-missiles is also available. Standard round for the ASP is a HEDP round. New TS-era explosive formulations make these rounds even more deadly. The ASP is belt fed and usually uses 50-round belt sections. Muzzle velocity is 900yds/sec. Treat time of flight for homing rounds as 600yds/sec. Flight times for Homing Ammunition.